I know this has been posted before but since there are many new members since then I thought it might be fun. I will go first... Guzzi is short for Moto Guzzi, the Italian motorbike brand. I had a deep and profound love affair with a certain Moto Guzzi back when I was a teenager. To me the Imola was the most beautiful bike ever made. On my 21st birthday my bf gave me a wooden rose with a set of keys tied to it... squeeeeee! It was a fixer-upper which as far as I was concerned was even better. I love working on bikes and you get to know a bike so much better if you've actually worked on it. I've had other bikes since but the Imola has always been the one I identified with the most. When I was in junior high school I got really into smallville, which led me into the super hero genre, which is something I hadn't really dabbled in before then. I got way into it (and am still way into it actually.) I created my own alter ego called Captain Fantastic. He's got the power to pass out smiles! Cheesy but good. During my brief stint in college I went to a costume party and decided to actually make Captain Fantastic. So I got a red morp suit and hot glued a big C F on the chest, got some blue high tops, blue fingerless gloves and a blue bath towel and put them all together to create Captain Fantastic! I also bought superman undies and wore them inside out but my girlfriend at the time demanded I put some shorts on instead. So that's my username's origin story. Hope you enjoyed it! I started out as tanktimus, which is a nickname of a nickname. Tank is the first four letters of my last name, so I get called that (and introduce myself that way) a lot. Tanktimus kind of flows out of Tank. the Encourager got added when I came back to the forums after a hiatus, in which I realized Encouragement was a spiritual gift of mine. During my brief stint in college I went to a costume party and decided to actually make Captain Fantastic. So I got a red morp suit and hot glued a big C F on the chest, got some blue high tops, blue fingerless gloves and a blue bath towel and put them all together to create Captain Fantastic! I also bought superman undies and wore them inside out but my girlfriend at the time demanded I put some shorts on instead. Dont believe you. We need proof. ....I realized Encouragement was a spiritual gift of mine. It is a very special gift, and you are loved for it. My name is Bonnie. And since I'm communicating with people over the Internet and not in real life, I'm in pixels. A blatant rip-off of a certain band. My last name is Stoney, and I play roller derby. It just happened to work so I went with it! Once upon a time I was a dishwasher at a restaurant. The day crew (I worked evenings) was supposed to clean an oven and finish most of the dishes, but if it wasn't done at quitting time they'd just bugger off. So one day I came in to find the whole place just a horrible mess; all the ovens were dirty, piles and piles of dishes waiting for me... I was aghast. I looked at the carnage in horror and said, "This... is a calanthrophy." I meant to say catastrophe or maybe disaster or calamity or something. Anyway, my friend who heard me say it thought it was hilarious so it became a word. It's sort of my go-to for screen names now as I can always be sure it isn't taken. Mine is an upgraded version of an old UN. I wanted something fiercer-sounding than the original, and stumbled through several attempts at potential "badass" rearrangements. I finally hit on "Evicious" and knew instantly my search was over. My name is a very weird combination of two different ideas formed into one. Back when I first started dating my fiancee we gave each other a lot of different nicknames. One of the nicknames, that I still call her today, is Bunny. I so happen to also really like cherries and love to poke fun of her cherry-colored face when she is out in the cold for too long, so I started calling her Cherry Bunny. She decided to also give me a fruit + animal nickname and the one that popped up is Strawberry Crab (Her favorite fruit is Strawberry and this was the first actual animal she thought of that had Strawberry in its name). Fast forward a few months and my brother and I each saved up enough money to get our own Xbox Live subscription(This was back in 2010 mind you). A lot of the good names were picked over so it was hard to think of anything good/clever without it having a series of numbers. At the time, I was into the Alice in Wonderland books and decided to combine one of my nicknames with my favorite Alice in Wonderland character. It got a good chuckle with my friends so I stuck with it since. ...I looked at the carnage in horror and said, "This... is a calanthrophy." ...It's sort of my go-to for screen names now as I can always be sure it isn't taken. I thought mine would be fairly unused but you'd be surprised how often I get the message "that username is already taken"
A sylph is an air spirit/air elemental. I do circus (aerial silks, specifically), so I'm in the air a lot and it's where I feel at home. My last name is Butterfield, which is part of how the name came about. But my friend couldn't figure out how it was that I was able to snag such a hottie as my girlfriend and told me it could only be attributed to something I had that he didn't, and thus the Butter Factor was discovered. My last name is Wildman. I've owned the rossberry.com domain name for a loooong time (back when you had to explain what a domain was). Rossberry itself was a word coined by some combination of my wife and daughters for our homeschool. We lived between Mulberry and Rossville, IN. When I joined NF I needed a name and wildross sprung up. Now I use it almost anywhere I need an online name. 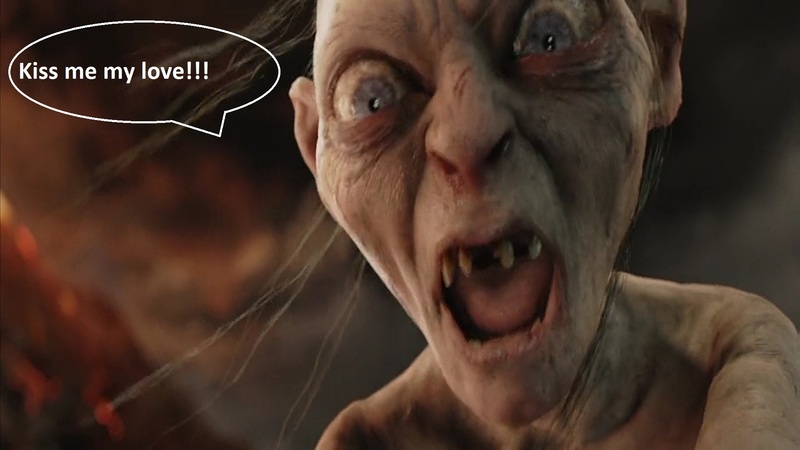 I fell in love with Gollum when I watched Lord of Rings. He is precious to me. For years I referred to everything as being "tricky false-y" and was known to accuse people of being a tricksy false-y hobbitses. After a major life change I retired my old online handle and became Trixie Falsae online. Flarg was a random name that I came up with back in high school when I used to play a Multi User Dungeon called Carrion Fields. Ah the memories that game evokes lol. And Longarms is as you might suspect, due to the fact that I have un-characteristically long arms for my height. I think this word will now be in my vocabulary lol absolutely amazing. You've got to be the only nerd I've heard of that said that you fell in love with Gollum. I fell in love with Gollum when I watched Lord of Rings. He is precious to me.